This list gives you a glance at the macro tools in ASAP Utilities. Please take the time to read it. I'm sure you'll find some great time-saving tools such as many others did. 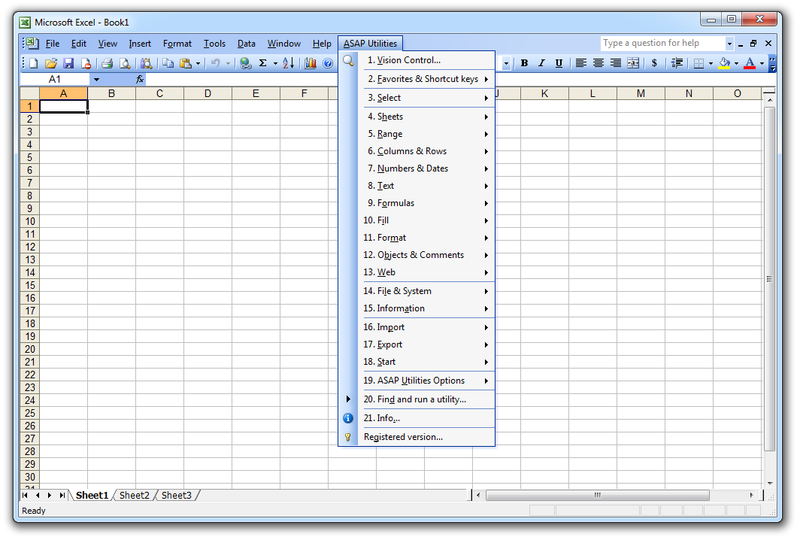 You can also view a fully expanded list with the entire ASAP Utilities submenus and their tools. 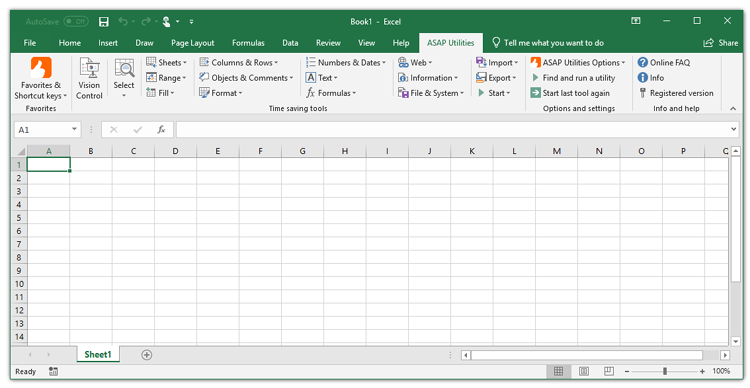 You get several extra worksheet functions in Excel when you have ASAP Utilities installed. Some of the most asked questions that can be (or have been) solved by using ASAP Utilities. 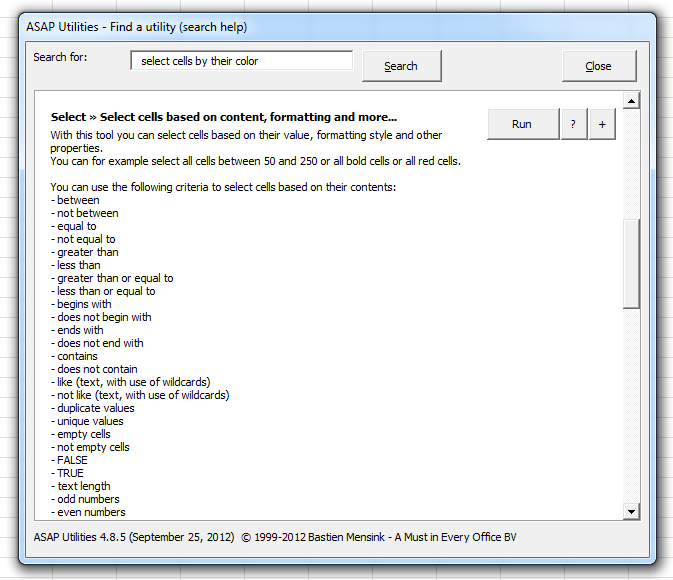 In the "Info..." option in ASAP Utilities you can find the same brief description of each tool. You can immediately run the utility from within the results window or add it to your Favorites menu by pressing the + button or press the ? button to visit the description and screenshots of the tool on the website.